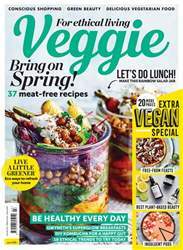 With 78 recipes perfect for springtime cooking, you're going to love our April issue. 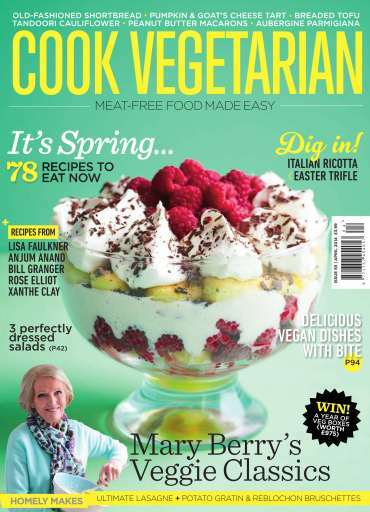 We've got healthy eating sewn up with our three perfectly dressed salads, as well as more indulgent food covered like our cover star recipe, an Italian-inspired trifle. 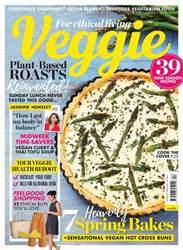 Dine out on Mary Berry's three course classic veggie dinner – bruschette, butternut squash lasagne and potato gratin – or try our speedy dinners from Anjum Anand. 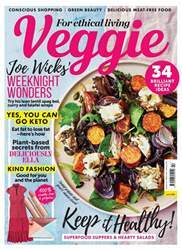 Meanwhile, Bill Granger turns his hand to Italian food (with delicious results) and Rose Elliot answers your culinary dilemmas. 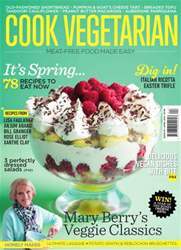 All this and much, much more in the April issue of Cook Vegetarian.